If you’re in the design business, you probably have heard of Inky Deals, one of the leading deals web sites for designers. We at SpyreStudios are big fans, actually, and we gave away 471 premium design resources last year, thanks to Inky Deals’s generosity. We’re once again partnering up with them to provide SpyreStudios readers with a great deal and a giveaway. If you’re new to Inky Deals, they basically work much like many other deals sites out there. The huge difference is that they offer huge discounts on bundles for designers, bundles that are practically treasure troves of tools and resources that designers will want to get their hands on. More than offering huge discounts, Inky Deals also offers a 200% money back guarantee, wherein you get to keep the product and get all of your money back if you are not satisfied. 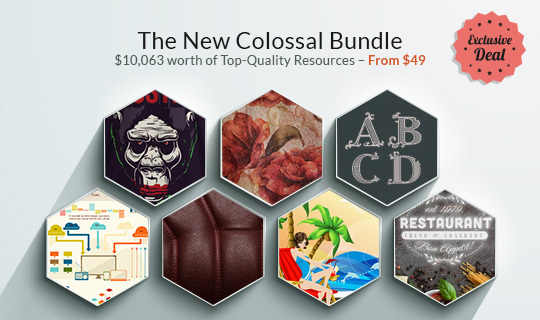 What we have for you today is the biggest design bundle ever, the immensely popular The New Colossal Bundle with $10,063 worth of Top-Quality Resources – From $49. And because they’re generous like that, Inky Deals is offering you an additional exclusive $9 discount coupon so you can get this amazing deal at an even lower price! Just remember to use the code INKYCOLOSS9 upon checkout. Important: The code is valid before Sunday, April 13th. Take a look at the immense contents of The New Colossal Bundle, and you’ll understand the use of this particular adjective. As you can see, the bundle contains a horde of tools that you can use for a wide array of applications, from t-shirt design to print design to web design. And to make things even more enticing, this entire bundle comes with an extended royalty license. That is, you can use them for as many projects as you want, be they for personal or commercial use! If you want a FREE taste of the resources that Inky Deals has to offer, download this freebie bundle with 4 vector illustrations, 4 textures, and a t-shirt design worth $35; and since it’s free, it’s up to you what you want to do with it! 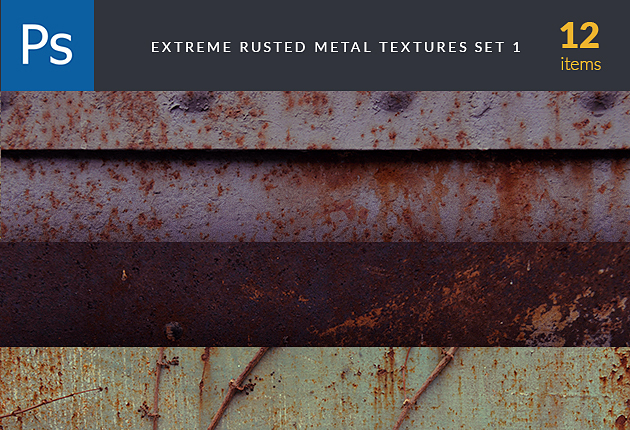 If this is not the best deal for design resources you’ll find this week, then I don’t know what is!